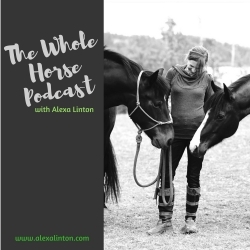 Here are a few of the treasures in her tool box: Straightness Training Instructor, Centered Riding instructor, EAD coach (Equine Assisted Development), Masterson Method Certified Practitioner, Holistic massage therapist (for human). Lucie offers international Body Awareness workshops and Balanced Rider & Horse clinics and has had the pleasure of teaching in Austria, Belgium, Canada, Denmark, France, Norway, Portugal, Spain, Sweden and the UK and is very open to traveling to new places in the world to share this work! 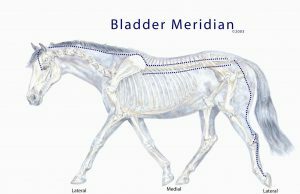 The Bladder Meridian that we had talked about when Lucie shared about the Masterson Method!